hey everyone just got back from Comic con and it was a blast. this is a little preview of what you are going to see when my senior year starts up. A man goes his whole life never receiving a package in the mail ironically he carries on a job as a package delivery man....what happens when he receives a package. 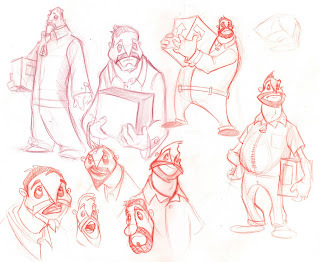 this is the first sketches for his character design. check them out tell me what you think!! !